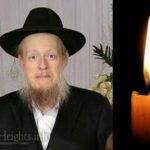 With great sadness we inform you about the passing of Harry Aaron Medelsohn OBM, a chossid and supported of Lubavitch activities. He passed away Monday afternoon the 3rd of Nissan. He was 55 years old. 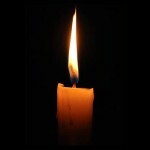 Aaron Mendelsohn was known Baal Tedakah, and was a supporter of the Machne Yisroel Fund. He learned in Yeshivas Tiferes Bochurim and in the Chabad Yeshiva in Kfar Chabad. He is survived by his brother Eric Mendelsohn (Arizona), and sisters Janet (Jarusalem), and Miki (Philadelphia), and many nieces, nephews, and cousins. The Levaya will be passing by 770 Tuesday morning at 9am on its way to North Carolina, times to be announced. Shiva information to be announced. Such a tragic loss, he was such a sweet man. 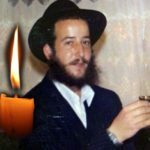 He was a Bal Chesed and helped my wife so much before we were married! Never in this world will anyone ever find a more devoted kinder friend than Harry. I love you, I miss you. Such a kind man that I ever met and a very big heart such humor in his soul and would light up a room.Harry you will be missed,Your memories will live on my friend. 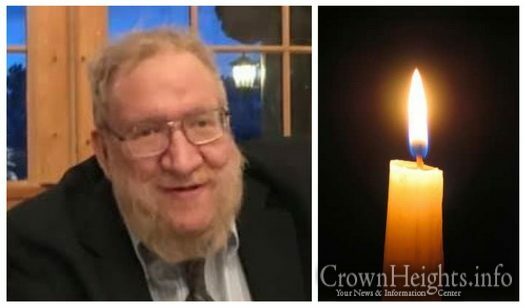 Aaron was full of heart and kindness, he lived his life with pure Emunah and Bitochon in Hashem, he was a caring person that would go to great lengths to help anyone in need. It was a privilege to call him a friend. This world is not the same without him. So sad you are gone.